The Fiesta de las Golondrinas (Festival of the Swallows) is tied to the legendary return of the swallows to the Mission San Juan Capistrano on St. Joseph’s Day, March 19th. The fame of this event, which will celebrate its 57th year in 2015, and the yearly return of the Swallows have reached all parts of the world. The Fiesta de las Golondrinas spans three months. This year it will culminate on Saturday, March 21, with the Swallows Day Parade and Mercado Street Faire, but in the weeks running up to it, numerous community activities will take place, including the Taste of San Juan, El Presidenté Ball, Fiesta Grande (which includes the Hairiest Man & Soiled Dove contests). 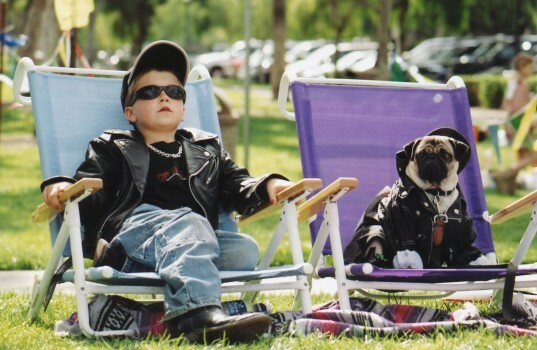 But one of the most anticipated events for South Orange County families is the Kid’s Pet Parade, where children ages five to twelve can show off their favorite animals. 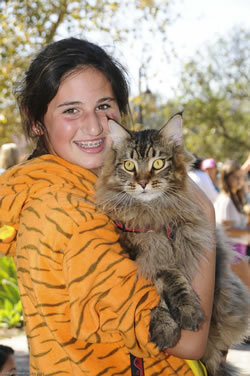 On Sunday, February 21 at Los Rios Park in San Juan Capistrano, kids and their furry, feathery or scaly friends can compete in contests for Best Team Costume (owner and pet), Best Domestic/Household Pet, Best Exotic Pet, Best Barnyard/Farm Animal and Best Bird. A special “Judges Choice” prize will be awarded and this winner will be given the opportunity to be in the Swallows Day Parade. Some past winners have included potato bugs, dogs, ducks and ponies.